My Style Notes: Bold prints. 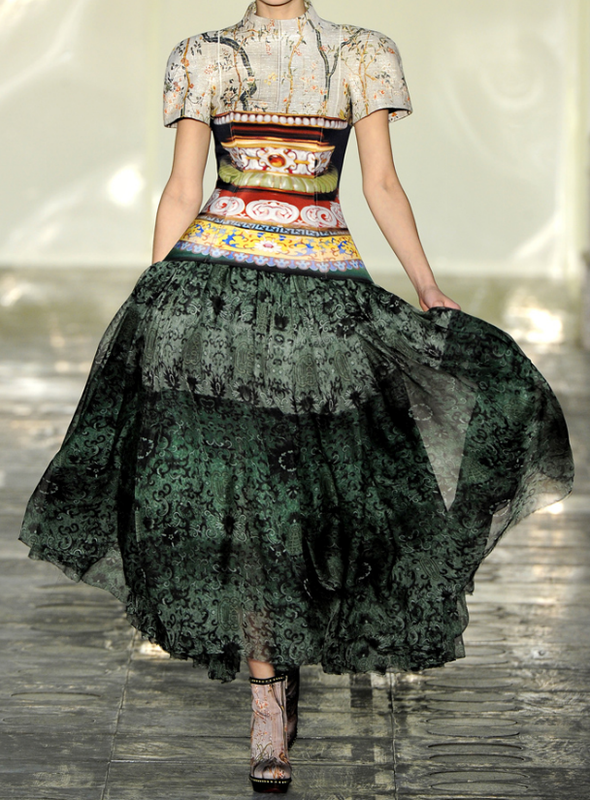 I am becoming more and more a fan of the bold prints we're seeing pop up in the 2011 collections. 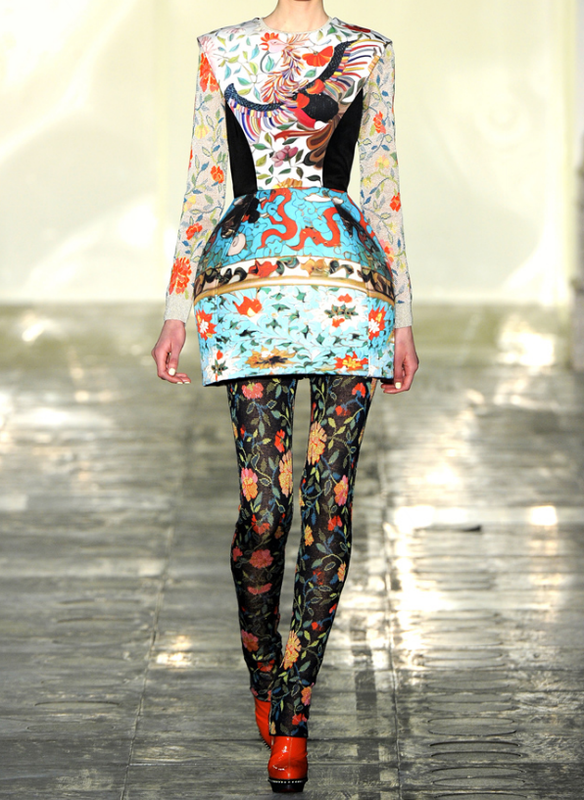 First it was Christopher Kane’s Resort that caught my eye and now it’s Mary Katratntzou's f/w 2011 collection that showed in London a couple of days ago. The vivid prints in both collections are very different, but both draw from familiar imagery which I think is what makes them so fun and appealing. I love the idea of wearing a reflection of life’s beautiful things, be it a cosmo, a Ming vase, or even a long stretch of open road. I’m curious to see if these imaginative designs trickle down into the more affordable arenas such as Zara, I hope so.